Brands - Pragma Brands .  Brands There are 44 products. 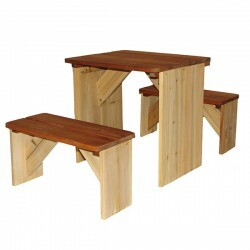 Have friends over and enjoy a lovely picnic together inside or outside your own playhouse or garden with this picnic set. 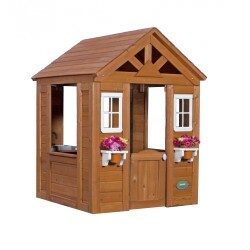 Add some more fun to your playhouse with this drive-in garage. 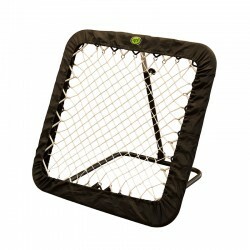 Kids will love this beautiful climbing tower. 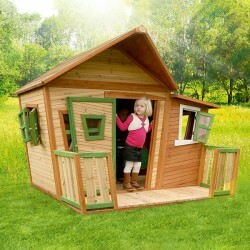 Playhouse Forest is Jane’s older brother and is lifted from the ground and placed on a frame with floor. 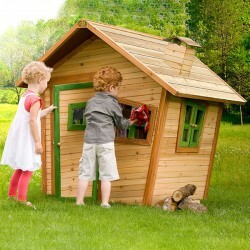 Feel like the real Robin Hood or a princess with this fairy tale house with slide and crooked windows and door. 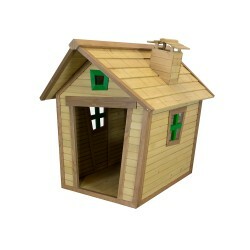 Read an exciting book on the porch of this cute wooden playhouse with half-round door and windows. 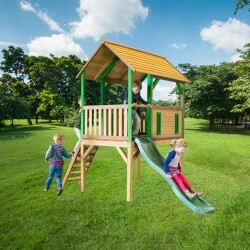 Feel like a true knight or princess in this wooden play castle with tower and slide. 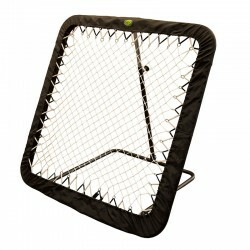 Don’t let the prisoners get out through the secret doors! 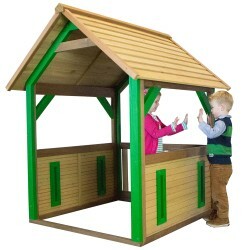 Playhouse Akela is a great playhouse for kids from 2 years up. 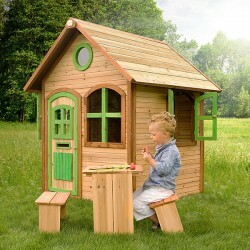 Enjoy a picnic of have fun in this great wooden playhouse with crooked door and windows; there is plenty of space. 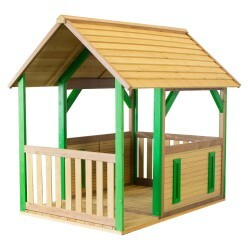 Bogo is the next step in our range of safari playhouse. 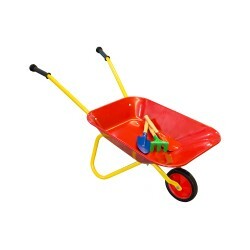 Suited for children from the age of 3 and up. 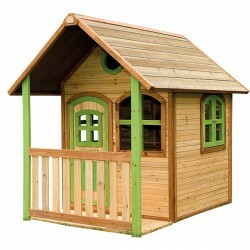 Climb, slide and play with this wooden playhouse with half-round door & windows on a low construction with stairs and slide. 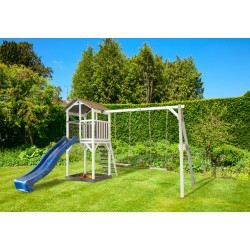 Playhouse Pumba has the highest platform level (118 cm) and provides a great 360 view over the entire garden. 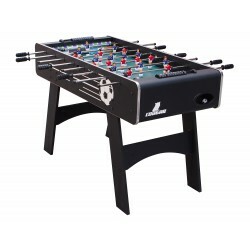 Meeko is Zazou’s big brother and takes the big safari playhouses to the next level. 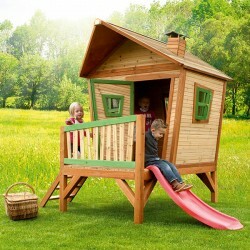 Climb up the stairs of this wooden playhouse on a high construction and quickly go down using the long slide. 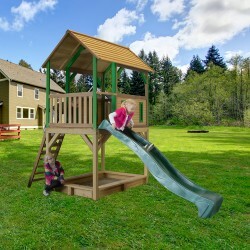 Have hours and hours of fun or enjoy a picnic with this lovely wooden playhouse on poles with slide. 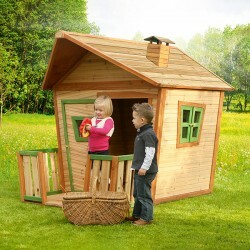 Take a look through one of the many windows of this fairy tale like wooden playhouse with porch. 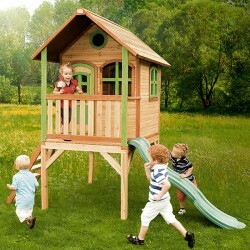 You can climb, slide and play in the sandpit of this lovely wooden playhouse with high stairs, long slide and sandpit.